Pre NHL the Stanley Cup was a challenge trophy where any championship team could challenge the current Stanley Cup champion. 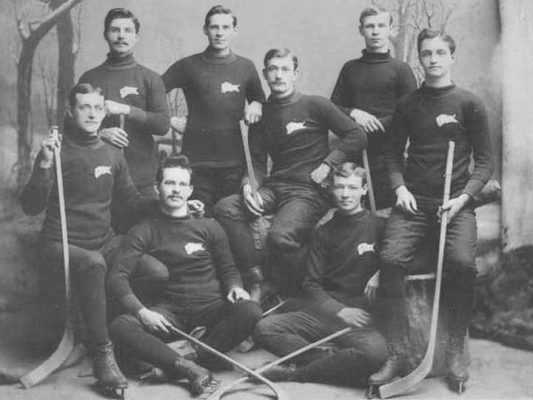 In 1896 The Winnipeg Victorias challenged the Montreal Victorias winning the game 2-0. Winnipeg was the first team outside Quebec to win the Stanley Cup. The roster was: Jack Armytage (forward), Donald Bain (forward), C.J. "Tote" Campbell (forward), T.A. "Attie" Howard (forward), Fred Higginbotham (cover-point), Rod Flett (point), and George Merritt (goal). Robert Benson was the substitute.